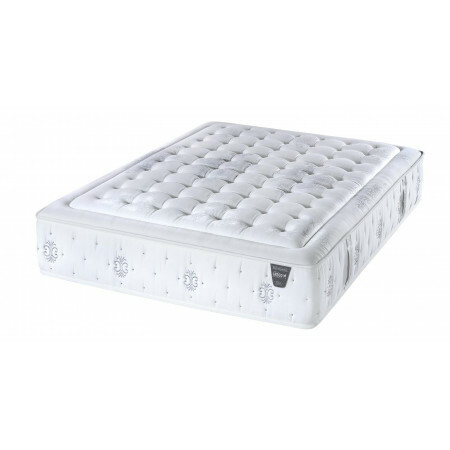 The Roll-Top mattress is in our standard range. It is medium to firm and has 2 sides to use. One side has a higher dense foam to give the mattress a firmer feel. The other side has a layer of memory foam to help adapt to the body shape better, giving the mattress slightly softer, more 'giving' feel. It is a good mattress for allergy sufferers as it can't harbor dust. It comes complete with the 'Oeko-Tex' certificate of approval. Please check out our 'Whats in our mattresses?' guide for more information about the materials used in this mattress. The 'Mallorca' slatted base is an affordable, standard design. It is made from a 6cm thick steel surrond and laquered with an apoxy anti-corrosion pewter finish. It has 13 6cm bowed wooden slats per side and a middle steel strength bar in all bases above 90cm width. 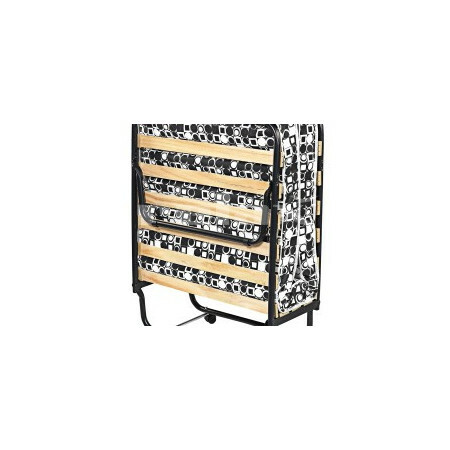 This base comes with matching coloured 25cm steel legs. Total height with feet approx 31cm.